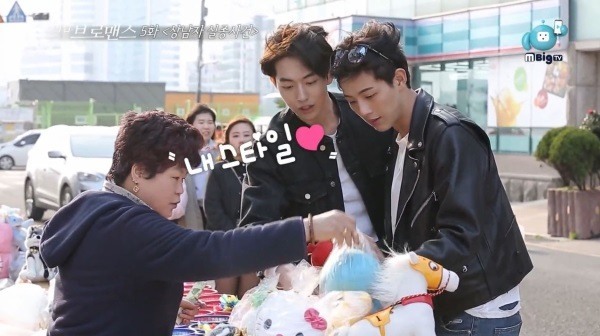 Actor Nam Joo-hyuk and Jisoo enjoyed their date in the city of Busan, on the fifth episode of “Celebrity Bromance” aired on V.
The two kicked off the day by walking around the streets of Busan arm-in-arm, enjoying the spotlight. 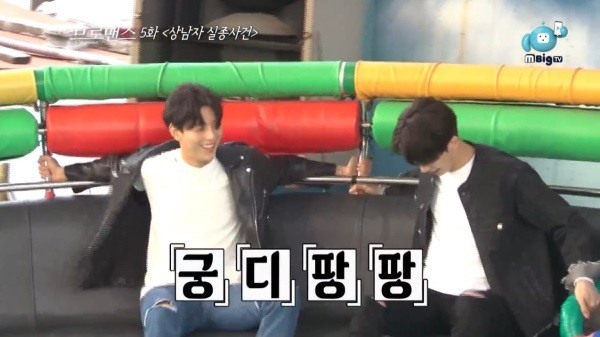 When Nam saw Jisoo’s loose shoelaces, he even tied them for him, flaunting their strong friendship. Suddenly, the two turned hyper as they saw a dart game set up in the middle of the street. They joined in right away, luckily winning a doraemon doll for a prize. 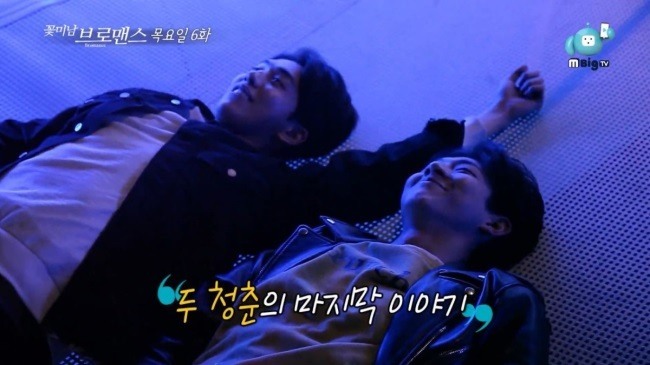 The two chose the famous ride called “Disco Pang Pang” as their first target. As the ride violently spun around in circles, the two held the bar tightly, screaming as the ride came to a peak. 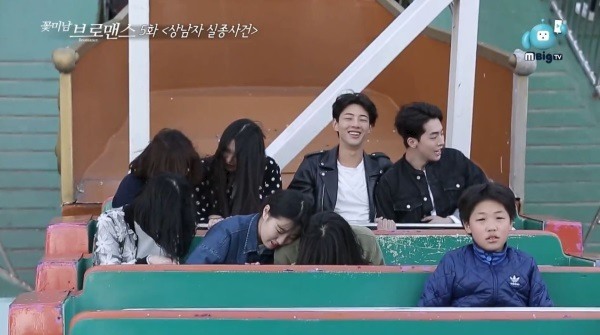 The next ride was the pirate ship, commonly referred to as the “Viking.” Sitting at the very back of the ride, Nam Joo-hyuk almost shed tears while Jisoo enjoyed it without much difficulty. Singer-songwriter Sam Kim shared his very first showcase with fans on V.
Starting with the original version of “Dance,” he carried on a successful debut showcase with a series of songs from his newly released album. 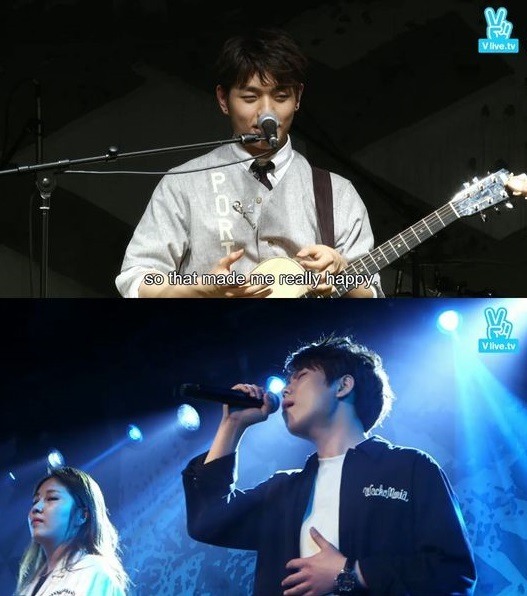 The show “I am Sam” also featured other trainees and artists from his agency, including Kwon Jin-a, Jung Seung-hwan and Lee Jin-a from the audition program “Kpop Star.” Named “Antenna Angels,” the four stood side-by-side and sang a track together, adding a lovely touch to the showcase. 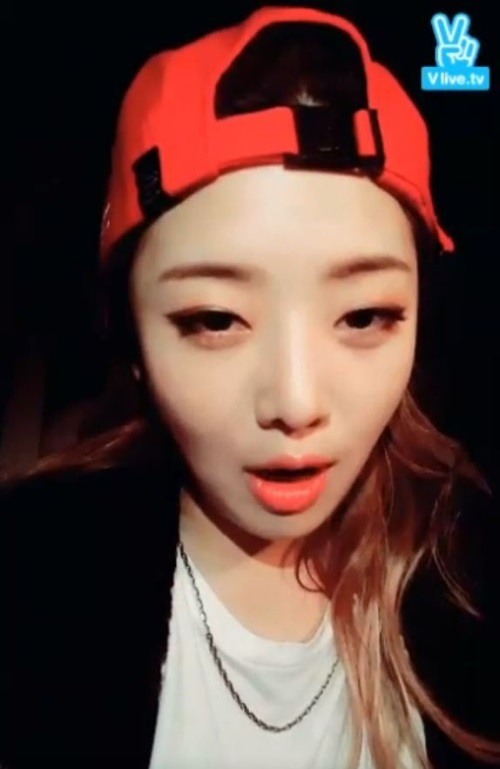 Kisum went live on V to thank her fans for coming to her performance, also introducing her manager and staff members. “This was the first time anyone came to my performance to cheer for me. I really want to thank all the fans who came to the show,” she said. Kisum also thanked her staff and her manager who were in the car with her, and introduced them to fans.